Yiruma is the stage name of I Ru-ma (born February 15, 1978), who is considered to be the world's greatest South Korea pianist and composer. The name "Yiruma" translates into accomplishment in Korean. 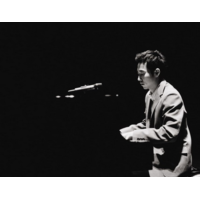 Yiruma leads the modern piano movement through his expressive and introspective songs. Although he is only 32 years old, Yiruma is internationally known for creating colorful crescendos which uplift all spirits. He frequently performs at sold-out concerts in Asia and is also known in Europe and North America. His Alma Mater King's College in England helped him gain European popularity and recognition. Several of his most popular songs include, "River Flows in You", "Kiss the Rain", and "Maybe". His most popular album is "First Love", which was released in 2001. Yiruma was born in South Korea and moved to England when he was five years old in order to pursue piano. He possessed dual citizenship of South Korea and England until 2006. In 2006, he gave up his UK citizenship and served in the Navy of South Korea.